We currently do not have puppies available. Please check back in December 2017 for an update on our breeding plans. 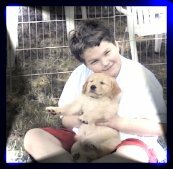 Our main goal in placement is to be sure that your new companion will be treated as a family member, we do not place puppies in homes where they will be housed outdoors. Our adult dogs are fed a whole raw biologically appropriate diet. We believe feeding a raw diet is part of our responsibility as breeders, as we believe breeding dogs should be in optimal condition. While we feel feeding a raw diet is optimal our puppies are fed high quality kibble and are offered raw bones as treats. We tried feeding litters raw but found it too difficult to monitor up to 10 individuals in a litter situation. As well, very difficult to keep their environment clean of bacteria their immature systems may not be ready to tackle daily. We generally will hold an open house the weekend closest to 6 weeks of age. Prior to that time we don't generally have anyone in our home as it is too disruptive to the mom and litter. We send our puppies to their new homes at 8 weeks of age. 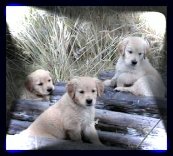 They will have been conformation graded, temperament tested, working ability assessed, vet checked, wormed, vaccinated with one single parvo vaccine and well loved. 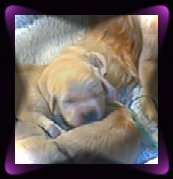 You will receive a puppy package that outlines care we have provided and future care recommendations. Our puppy go home days are unique - We do them in a group setting, you your family and all the other families that are taking a puppy home will meet at our home and there will be an orientation followed by questions and answers.